Size of this JPG preview of this WEBM file: 800 × 450 pixels. Other resolutions: 320 × 180 pixels | 640 × 360 pixels | 960 × 540 pixels. 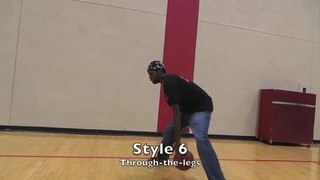 English: A demonstration of the basic types of dribbling in basketball.